Author seachranaidhe1Posted on August 14, 2018 Categories DON'T BELIEVE ALL YOU READ ON THE BBC - YOUR GOVERNMENT ARE LYING TO YOU - GET THE TORY'S OUTTags accountability, Article 19, Brexit, Conservatives, DUP, Governance and Funding, Irish Border, National Security and counter terrorism Europe and Central Aisa, Six counties, Torie Party, united kingdomLeave a comment on UK: Protect free expression online online and reject Counter-Terrorism and Border Security Bill 2018. Máire Drumm murdered in her hospital bed. 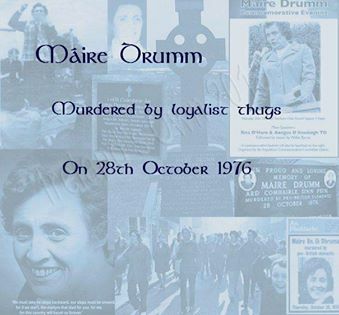 On 28th October 1976, 28 years ago, Sinn Féin Vice President Máire Drumm was shot dead in her hospital bed. Máire Drumm (née McAteer), was born in the townland of Killeen, South Armagh, on 22 October 1919 to a staunchly republican family. Máire’s mother had been active in the Tan War and the Civil War. In 1940, Máire joined Sinn Féin in Dublin. In 1942, she moved to Belfast, which became her adopted city and she continued her republican activities. Every weekend, Máire would carry food parcels to the republican prisoners in Crumlin Road Jail and it was here that she met Jimmy Drumm, who she married in 1946. When the IRA renewed the armed struggle in the late 1950s, Jimmy was again interned without trial from ’57 to ’61. Máire became actively involved in the Civil Rights Movements of the 1960s. 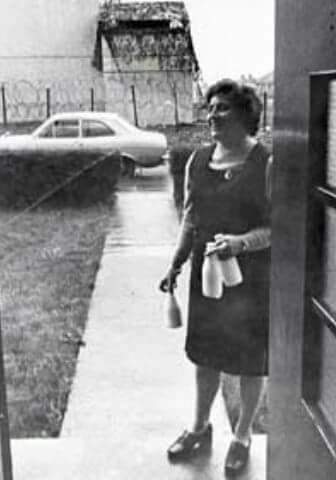 She worked tirelessly to rehouse the thousands of nationalists forced from their homes by unionist/loyalist pogroms. In 1972, Máire became Vice President of Sinn Féin. Due to their dedication to the republican struggle, Máire’s family was continuously harassed by the RUC, British Army and by loyalist intimidation. The British Army even constructed an observation post facing their home in Andersonstown. At one point, her husband and son were interned at the same time. Her husband, Jimmy became known as the most jailed republican in the Six Counties. Máire was also jailed twice for ‘seditious’ speeches, once along with her daughter. In 1976, her eyesight began to fail and she was admitted for a cataract operation to the Mater Hospital, Belfast. 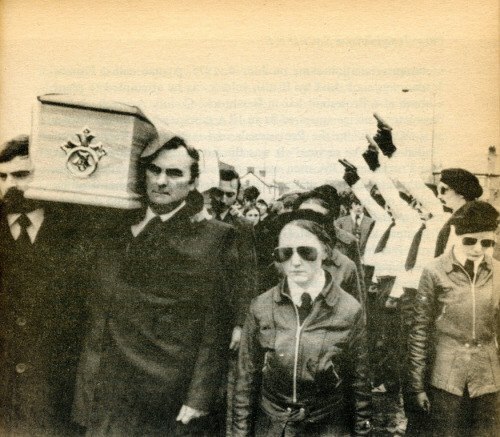 On 28 October 1976, as Máire lay in her hospital bed, loyalist killers wearing doctors white coats walked into her room and shot her dead. 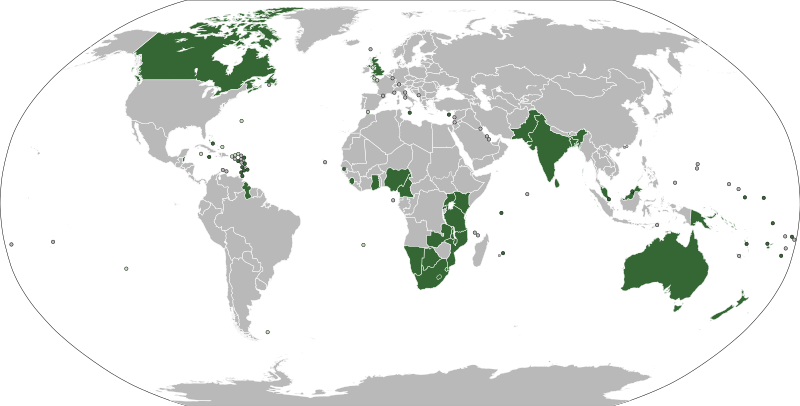 With many thanks to: Easter Rising War of Independence and Irish Civil War History. Author seachranaidhe1Posted on March 28, 2017 March 28, 2017 Categories On this day, REMEMBER OUR PATRIOT DEADTags "For Christ sake stay up" "People should not shout out up the IRA", "peace keepers", "The people of Derry are off their bended knees", '57 to '61, 'seditious' speeches, 1940, 1942, 1960s, 1972, 1976, 22nd October 1919, 28 years ago today, 28th October 1976, active, admitted, adopted city, Andersonstown, armed struggle, became Vice President, Belfast, born, British Army, British Troops, buried, carry food parcels, cataract operation, city, Civil Rights activest, Civil rights movement, Civil War, constructed, Crumlin Road Jail, daughter, dedication, Derry, doctors white coats, DUBLIN, dynamic and inspirational, every weekend, eyesight began to fail, first to warn, force of occupation, freedom fighter, gifted leaders, harrassed, Home, hospital bed, husband and son, in 1946, interned, interned at the same time, IRA, Jailed twice, Jimmy, Jimmy Drumm, joined Sinn Féin, Killeen, late 1950s, loyalist killers, married, Mater Hospital, Máire Drumm, Máire Drumm (née McAteer), Máire's mother, Milltown Cemetery, most jailed republican, moved to Belfast, murdered, nationalists forced from their homes, observation post, Once, organiser, quotes, rally, rehoused, renewed, republican activities, Republican Prisoners, republican struggle, RUC, shooting two men, shot dead, shot her dead, Sinn Féin, Six counties, south armagh, Speaker, staunchly republican family, Tan War, The British Army, they should join the IRA", townland, Unionist/loyalist pogroms, Vice President of Sinn Féin, voice of the people, walked into her room, without trial2 Comments on Máire Drumm murdered in her hospital bed. RUC stop and search; The mobile app that the Occupied six counties of Ireland is crying out for! With tens of thousands vindictive and targeted stops and searches carried out in the British occupied six counties of Ireland on Innocent Nationalists and Republicans, New Yorkers have came out fighting such racial/cultural bigotry with a mobile phone app which documents such cases. Last year close to 700,000 people were questioned on the city’s streets. The vast majority were black or Latino and nine out of ten had committed no crime. This year the department is on pace to shatter that record. Last month a USA federal judge granted class-action status to a lawsuit accusing the police of unconstitutional, racial profiling through stop and frisk. Civil liberties campaigners have unveiled a mobile phone app that will allow users to document police stops in New York and immediately submit them for review. The New York Civil Liberties Union released the app following months of growing criticism surrounding the NYPD’s practice of stopping and frisking hundreds of thousands of New Yorkers each year. NYCLU leaders said the app, which is available on Android with an iPhone version out later this summer, would help the organization document the growing number of controversial police stops. Last month a federal judge granted class-action status to a lawsuit accusing the police of unconstitutional, racial profiling through stop and frisk. The app is composed of three features: record, listen and watch. Recorded clips will be sent directly to the NYCLU, and users will be offered a brief survey allowing them to fill in the details of what they witnessed. The listen feature messages users when the app is activated by others and reports where the police stop is happening. The report feature allows users to detail police interactions they witnessed or experienced but were unable to film. The app also includes a “know your rights” element, intended to educate users. “Today’s release of the Stop and Frisk Watch adds another critical dimension to our quest for fair and just policing for all New Yorkers,” said NYCLU executive director, Donna Lieberman at a press conference Wednesday. Lieberman was joined by New York City council members Jumaane Williams, Leticia James and Melissa Mark-Viverito, as well as NAACP president Ben Jealous, National Action Network vice-president Michael Hardy and George Gresham, president of 1199 SEIU United Healthcare Workers East. The app was developed by Jason Van Anden, who last year was responsible for the I’m Getting Arrested app, intended to help Occupy Wall Street protesters who found themselves being taken in by the police. Van Anden – who has witnessed stop and frisks in his neighbourhood–described his latest project as a “labour of love” that began in November. Critics of stop-and-frisk say the practice has resulted in a two-tier a system of justice that favour white New Yorkers and disproportionately harms people of colour. A story published in the New York Post on Wednesday, before the press conference suggested the app could present a danger to users if the subject of a police stop reached in their pockets to pull out their phone. Lieberman stressed that the app is explicitly intended for witnesses of police stops, not subjects. Author seachranaidhe1Posted on June 8, 2012 Categories UncategorizedTags British Occupied Ireland, North of Ireland, PSNI, RUC, Six counties, Stop and SearchLeave a comment on RUC stop and search; The mobile app that the Occupied six counties of Ireland is crying out for!